For this week's #TinaTuesday and in honor of Pride Month (June), I had the opportunity to sit down with Jonathan Cook (Director of Communication and Development) at the Rainbow Community Center. The Rainbow Community Center was formed in 1992 as a satellite of the Pacific Center in Berkeley, and in 1996 they became independent from the Pacific Center and became a new Center serving all of Contra Costa County. Then just last year they opened a second facility in El Cerrito expanding their reach beyond Contra Costa County. The Rainbow Community was formed to provide a safe, supportive and respectful environment for LGBTQ people of all ages, socio-economic status, races, cultures and religions. They create services and activities that will promote the mental, physical and spiritual well-being of the LGBTQ community by providing professional services, peer support, referral services, social opportunities and educational programs of interest to the LGBTQ community as well as to the community at large. It's all about creating a community for people to feel included, when they usually feel socially isolated. All of their programs are supported by funds from federal, state, and county initiatives; private foundations; and individual donors, including: Funded by the Mental Health Services Act in partnership with Contra Costa Behavioral Health Services, Contra Costa County Mental Health, Contra Costa County Health Department AIDS Program, Contra Costa County Dept. of Conservation and Development Community Development Block Grant Program (CDBG), Kaiser Permanente Foundation, Horizons Foundation under a grant from The California Wellness Foundation, The San Francisco Foundation, Northern California Rainbow Divers, AIDS Walk San Francisco, Center Link (under a grant from The Johnson Family Foundation), Concord/Pleasant Hill Health District, Mt. Diablo Unified School District, and the generous support of our community members. Contra Costa Youth Advocacy Collaborative - A joint community effort to reach & engage families, peers, schools, faith groups & other community members to raise awareness of the harmful effects of rejection on the lesbian, gay, bisexual, transgender & queer/questioning (LGBTQ) youth. Social GUY-Zing - A group for men who love men. 18+. New topic each group. ​Men's Social Group - Meet other GBT men in the area! This group meets at RCC on the 4 th Saturdays, 4pm, and heads out to a local restaurant for dinner. The group also hosts movies nights, potlucks, and more. Gender Voice - Gender Voice is a social support & discussion group at the Rainbow Community Center that welcomes all people interested in exploring their personal gender identity and expression. Rainbow Counseling Services - Rainbow Counseling Services provide quality mental health counseling and case management support to members of the LGBTQ community and their families, and to those who are questioning their sexual and/or gender identity. 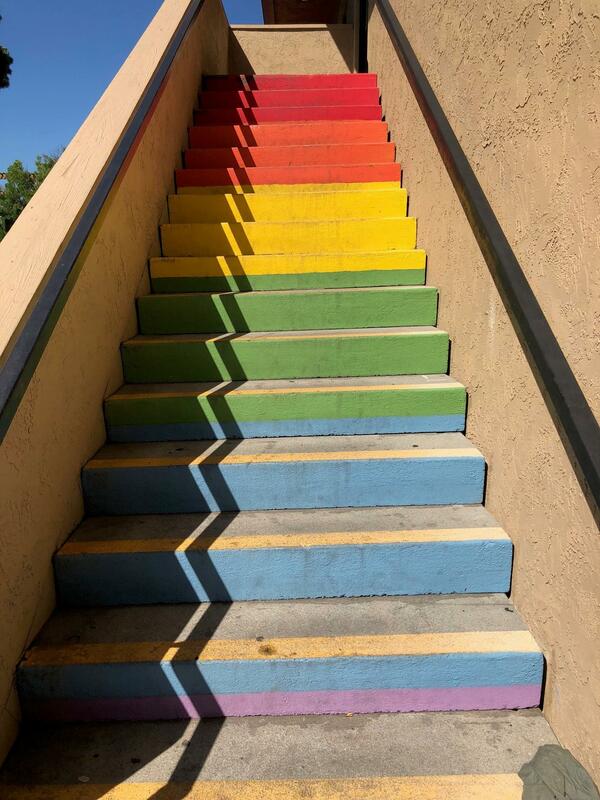 Youth Program (Ages 11-25) - Youth Program at the Rainbow Community Center is designed to promote self-acceptance and a positive self-identity for all LGBTQ+ youth. Transgender Group - The Transgender Group is a peer support, discussion, & video viewing group at the Rainbow Community Center. As you can see, the Rainbow Community provides a lot of support in many different areas for the LGBTQ community, which is so very necessary today. I asked Jonathan what he would like the community to know about the LGBTQ community and his response was to have an open mind and be respectful. There are a lot of people in the LGBTQ community still struggling with who they are, and some that are very comfortable with who they are, you just never know. Kicking off Pride Month this weekend (June 2nd), The Rainbow Community Center is putting on their annual Concord Pride Festival in Todos Santo Plaza, from 3-9pm. There will be crafts, entertainment, music, food and general fun for the whole family. BTW, Did you know that the month of June was chosen for LGBT Pride Month to commemorate the Stonewall riots, which occurred at the end of June 1969. As a result, many pride events are held during this month to recognize the impact LGBT people have had in the world. Another interesting fact: the colors of the LGBT flag each have a meaning: red for life, orange for healing, yellow for sunlight, green for nature, blue for harmony and violet for spirit. 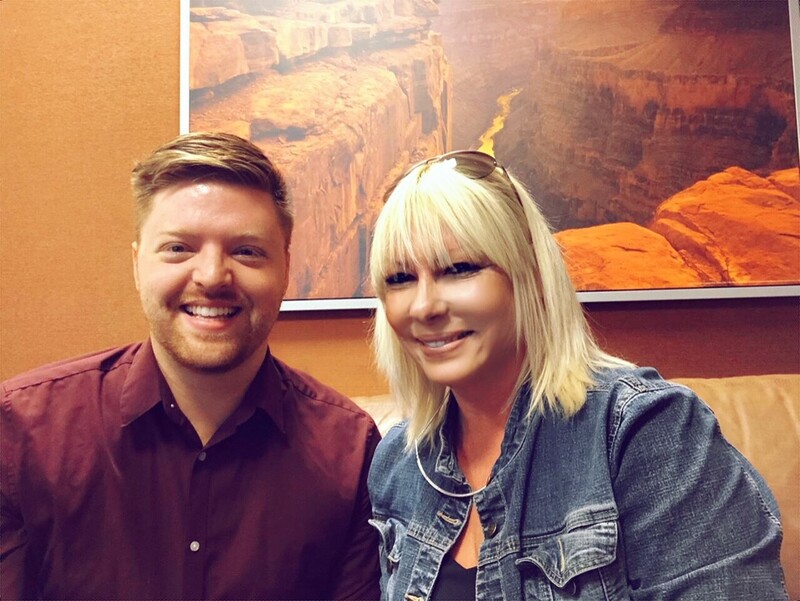 Thank you Jonathan for taking the time to sit down with me and educate me on all of the amazing things that the Rainbow Community Center is doing to support the LGBTQ Community. For more information on The Rainbow Community Center you can visit their website http://rainbowcc.org/, and for more information on their Concord Pride event this weekend you can visit their event page https://www.facebook.com/events/2135085236711148/.